Carnaroli Rice comes from the Po Valley area in the heartland of Italy's rice-growing region, where the nutrient-rich soil and temperate climate provides the ideal growing conditions. The farmers there have been growing risotto rice varieties for hundreds of years. This region is famous throughout Europe as having the very best rice. 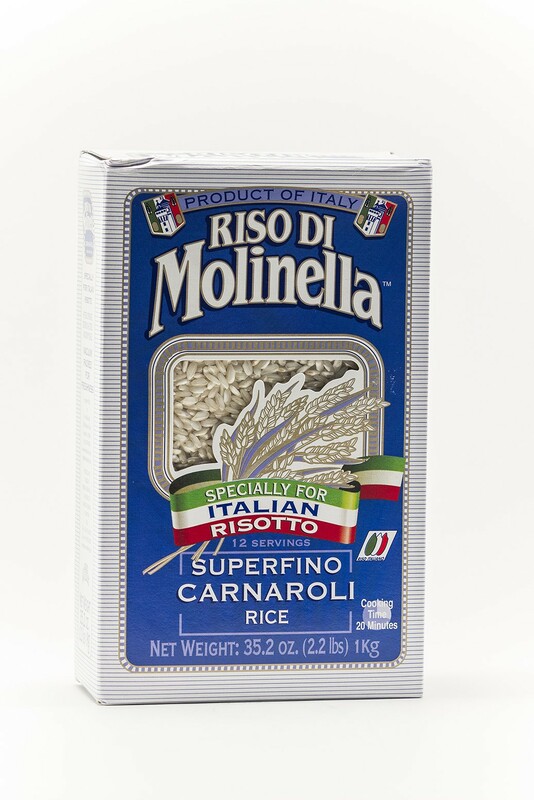 Of all Italian rice varieties, Carnaroli is considered the highest quality available. Rich in amylose, a substance which contributes to the grains notable firmness, it is the preferred rice of chefs worldwide for its versatility. Carnaroli is ideal for the preparation of all types of risottos, regional dishes and is able to absorb nearly three times its own weight! Its short plump grains allow for maximum absorption of the most varied flavors, allowing you to create a perfect rich and creamy risotto that is still al dente!